Denis Bond has written hundreds of scripts for children's TV and Radio, including: RAINBOW...PIPKINS...LET'S PRETEND...THE LISTENING CORNER...THE MUNCH BUNCH and the award winning PICME. Denis has also written more than eighty books. 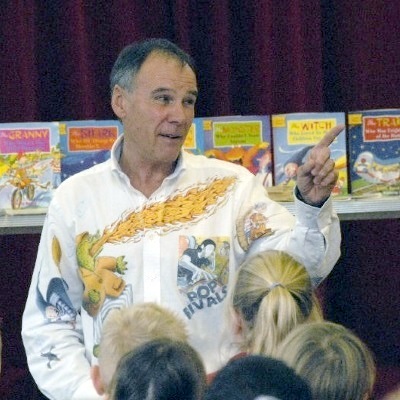 His hi-energy presentations in schools have proved extremely successful as have his writers' workshops and in-depth literacy booster classes for which he has been highly praised by Ofsted inspectors. Denis has an enhanced CRB check certificate and is fully insured for school or library visits worldwide. Denis has written many books. The following are his most popular .